The National Flag Days of Russia and Ukraine go one after another, on August 22 and 23. The artistic director decides to combine the two holidays in one poster. Searching for situations where two flags would look appropriate and natural. 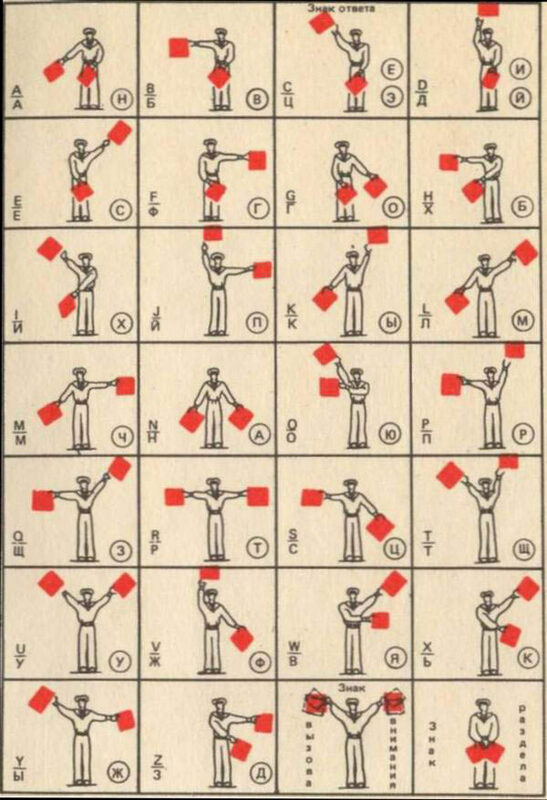 Here, for example, are Russian semaphore characters. Let’s use them to encode a suitable message, like haha lol. Art director: Do the days match? No? Then let’s think of a better phrase. Studying the semaphore characters, drawing the seamen with flags and typesetting the text.